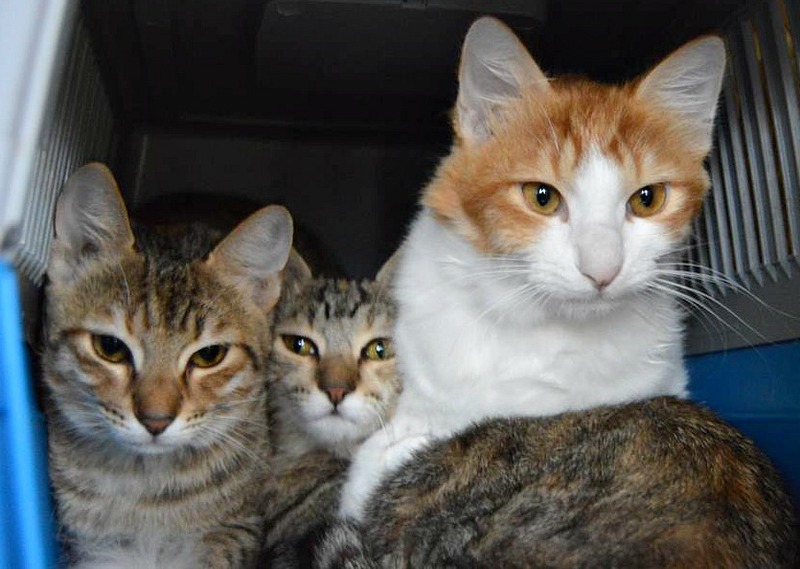 These 3 kittens are 6 mths old & looking to be homed together .The two female tabbies are Arabian Mau’s ,their ginger brother has the most amazing fluffy tail .They were going to be euthanised by pest control & were saved at the last minute after a tip off .They are delightful ,will come neutered ,vaccinated ,flea/wormed ,micro-chipped with four wks insurance £180 for the three of them .A ready made family . Hi, my partner and me would love a kitten or a couple to make our place feel more like home. We have always had cats growing up and my parents have had kittens from Sally’s rescue previously. We live in a little village near the beach with no main or busy roads. Hi Eve ,the only female kittens we have at the moment are semi feral so will need a little work ,they can be picked up & stroked & they use a litter tray they are beautiful Tabbies .They have a black brother would you be interested ? Hi, we are looking to adopt a cat. I have a 3 year old daughter and a 1 1/2 year old son. we have no other pets and a big garden. We had cats previously, but they got distressed after I had my to children so we re homed them. We really miss having pets so ideally would like a cat (or cats) that don’t mind small children! Hi Kayleigh ,do you have a cat flap & do you live on a main or very busy road ?